Discussion in 'Muppet Appearances' started by jeremystclair, Feb 18, 2019. Froggy Fool, ryan19, LittleJerry92 and 1 other person like this. Wait, is Terry Crews the host now?! They've been changing the hosts a lot lately. I found this appearance low-key cringy, as I do with all ventriloquist acts, but cool that they got Rowlf, I guess. I am very happy to see this appearance. Random Muppets popping up on TV is great. They are certainly doing a slow burn media push this time around instead of hitting all outlets at once when the finally officially announce a new series. Maybe... just maybe...Disney is starting to get that the Muppets need to have a consistent presence in the public eye between productions. Also, looks like they are keeping the Rowlf's Tavern thing going. I like that. I found it the most fitting for his character. Playing a piano, running the bar, he gets to dispense drinks, wisdom, and jokes. Froggy Fool, Blue Frackle, Duke Remington and 1 other person like this. One way to ensure all that is for The Muppets Studio to start hosting workshops and auditions for new and extra puppeteers like what Sesame Workshop does and start training understudies to facilitate more minor appearances. Taking the same “one official performer and one official understudy” model that Caroll Spinney did when he was training Matt Vogel and Eric Jacobson to take over Big Bird and Oscar respectively and adapting it to each of the major Disney-owned Muppets will also serve them well in the long run to further ensure the longevity of the characters and help keep them out in the public eye a lot more than they already are now. I do agree that there needs to be main performers and official under studies. 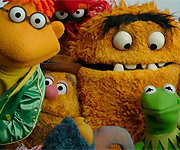 Sesame Workshop handled their recasts far better than the Muppets did. 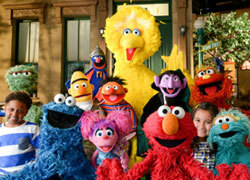 Elmo, Count, Oscar, Big Bird, Bert, Grover, Cookie Monster, etc. None of these characters missed a beat when their original performers retired. I think that Dave needs to start training an understudy for Gonzo if he isn't already. And maybe we should have certain characters switch between the understudy and the main performer like they did with Big Bird just to get the audience use to it and gauge reactions. Ideally, all the performers would live forever in perfect health. Realistically, there have to be contingency plans. So I gave this video a watch and that woman sure has a good singing voice! But dear god, that puppet is just creepy. Finally got around to watching this. I really enjoyed the fact that it took place at Rowlf's Tavern. That makes some sort of indication that the Muppets on ABC has fans even if it was short-lived. I'm so glad Rowlf was a guest star on AGT The Champions. Forgive me if this is repetitive, but Rowlf is so cute and cuddly.